PUBG can be an easy game to cosplay, with skins that can easily get replicated in real life. However, no outfit is called “cosplay” without being evident of which game they’re from. To complete your costume and as an additional accessory, we’re introducing a PUBG Grenade prop that’s a must-have. Sure, the game’s popularity has been somewhat recently, but faithful fans will appreciate this fresh product. Even if you don’t cosplay, the prop can be a desk or shelf decoration to showcase your preference of PUBG over Fortnite (unless you prefer Fortnite instead). It’s not wrong to like either game or both. People have different preferences. 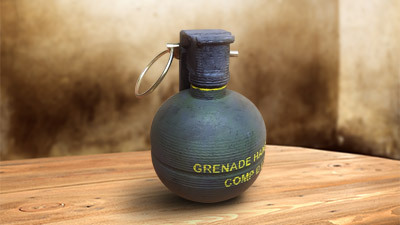 Some sellers make these replicas of fictional items (granted a grenade isn’t actually fictional), which are amazing. 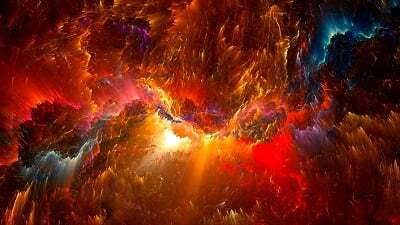 In fact, they spend much of their time and effort into making awesome things, sometimes at the whim of their customer. Yes, this grenade looks pretty simple, but we don’t know how many tries they took to get it right. Consider the charms, key chains, handmade accessories, and jewelry, each of them carefully crafted, ensuring that everything is well made. So what about this PUBG Grenade Prop so great? The prop fits most adult-sized hands since the dimensions are 4″ x 3″ x 3.” Its 3D printed with ABS plastic, a recyclable thermoplastic. Several hand-painted coats of green and bluish-black paint are applied and sealed. Finally, a real metal safety clip pin is on the handle, for a more realistic touch. The words “GRENADE HAND FRAG DELAY M67” and a serial number is printed on the body to complete the prop. Its description warns customers that this prop is intended only for display and cosplay purposes even though it’s well built. These props are handmade and made to order. One takes 10 to 15 days to finish, so if they’re out of stock, you might have to wait a while before getting one. Again, it gets primarily used as an accessory in cosplaying (not for throwing), but you shouldn’t have to anyway. However, as mentioned earlier, it can be a decoration, on either a desk or shelf or anywhere. Since it’s an ABS plastic 3D printed item, it’s prone to melting in very hot environments. On the other hand, the item is recyclable. Unlike other plastics, ABS can get melted again and remolded into different shapes. Anyhow, remember to keep this grenade away from direct sunlight, along with cool and dry. The seller of this product also makes replicas of grenades for other games, including Mini Nukes, Plasma Grenades, and those Baseball Grenades from the Fallout series. You can even buy multiple (three maximum) of that last one, which is cheaper than purchasing three individually. Other PUBG-related goods are available for sale on Etsy, such as shirts, keychains, charms, figures, and posters. Besides, if you’re looking for merchandise for other games (popular and not so favorable), there are myriad of things (like those mentioned above plus more) titles, including, Overwatch, World of Warcraft, Path of Exile, Fortnite, and more. Etsy is a marketplace for artists, designers, and collectors to buy and sell handcrafted or handmade items. From its wide variety of craftspeople, you’re sure to find something suitable. Some sellers offer more practical things, unrelated to games, but they’re cool. Check out what Etsy has got to offer, and enjoy epic consumer-created goods. Keep in mind that honesty and politeness goes a long way. The sellers and crafters on Etsy are people, not robots. Requesting an item that’s out-of-stock is okay, but demanding isn’t the thing to do. Lastly, show some gratitude to the seller(s) for a job well-done with a review. Grab your PUBG Grenade today!